Growing up in China, a communist society, I had never voted for anything serious other than the occasional classroom representative position. Even after turning 18 I still could not vote as I was not a communist party member; apparently being a citizen was not enough. Then, I moved overseas and it’s remarkable how different the voting experience is for me now. In Australia, every citizen over 18 is required to enrol and vote. Compulsory voting was introduced in 1924. Nearly 100 years on it’s been embedded into the society as Australia’s national DNA. These days, 96% of eligible Australians are enrolled to vote. So how do I feel about this? The change from a communist society where voting is left to the party members, to a democratic nation where dozens of party representatives flock the streets to promote their policies is definitely disconcerting at first, but it’s not unwelcome. To me, to vote is to ascertain that I am part of a community. I am making a difference by providing my opinion. My vote has the potential to shape my country, and in extension, the future. I usually vote when the polling place opens, generally around 8am. After I do my part, the neighbourhood arrives and starts queuing up. People from all walks of life show up each year. Everybody may look, sound and behave differently, but we are all united as Australians on Voting day. I am proud to be a part of this community. As International ACAC members, we are all part of a community. Our mission is to support students on their journey to higher education, and we are all united in this common purpose. Voting for our Executive Board give us the ability to make a difference and shape the future of our organization. Our colleagues from around the globe are putting themselves ‘out there’ to maintain and grow this organization that so many of us have come to rely on for information, networking, professional development, and so much more. In addition to Australia, there are 10 other democracies that enforce compulsory voting, in total making up only 5% of the United Nations members. For the predominant remaining majority (95%), voting is optional. Over the past 20 years, compulsory voting has become a way of life, just the same as completing my tax return and serving jury duty. But if I moved to live in one of the majority 95%, what will I do? In the 2016 US presidential election, 55% of eligible voters participated. In the International ACAC election last year, 31% of eligible members voted in the general Officer positions voting (president-elect and VPs), and 52% of eligible members voted for the NACAC Delegate positions. These percentages of members voting are too low! 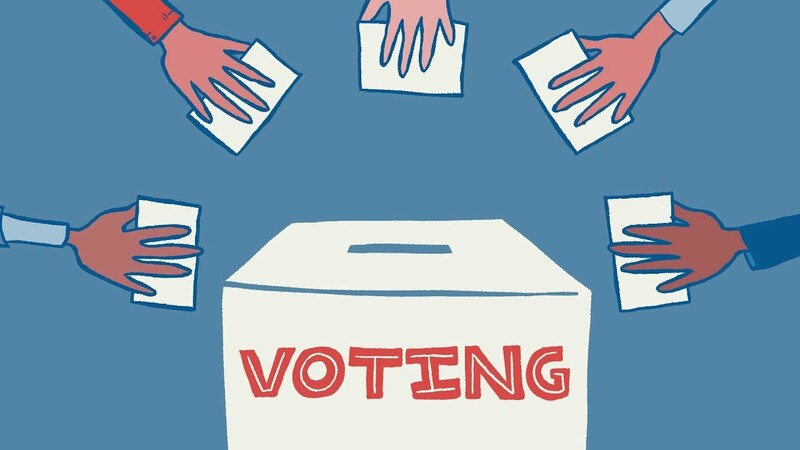 To make International ACAC greater, we need our members to exercise their right, and duty, to vote. Yes in the US voting is optional. Yes with International ACAC voting is not compulsory. But to ascertain that I am part of a community, to participate to shape the future of our organization so it can move forward, I will choose to vote. I know my voice will be heard. I hope you will do the same. Comments on "Your Voice Will Be Heard"